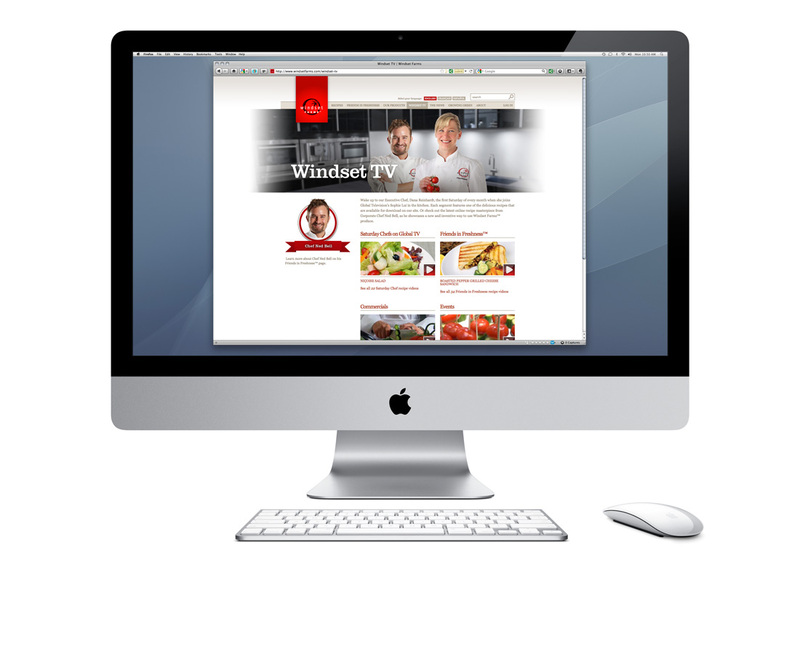 The WindsetTV section of their website houses video content including recipes, which are easy to follow along with. 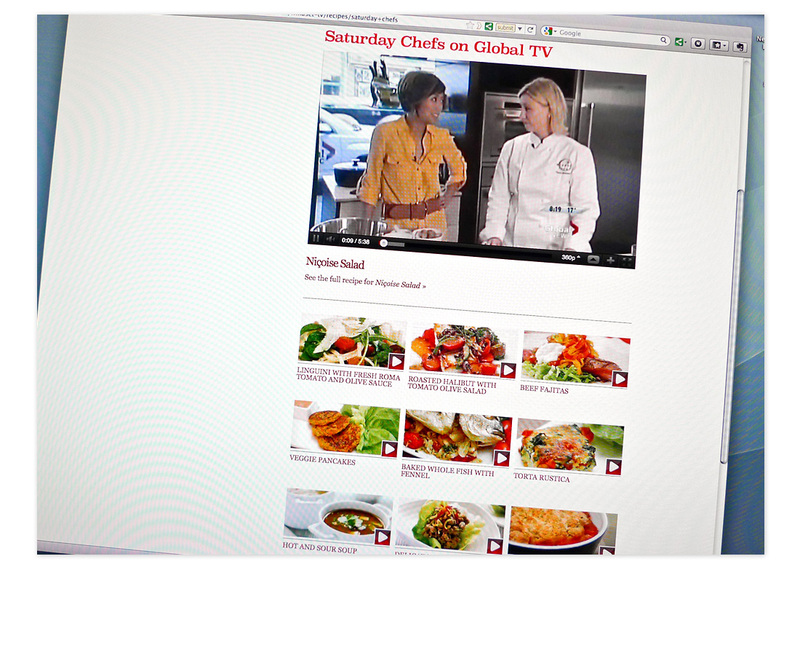 There are four sections ‘Saturday Chefs on Global TV’, ‘Friends in Freshness’, Commercials, and Events. 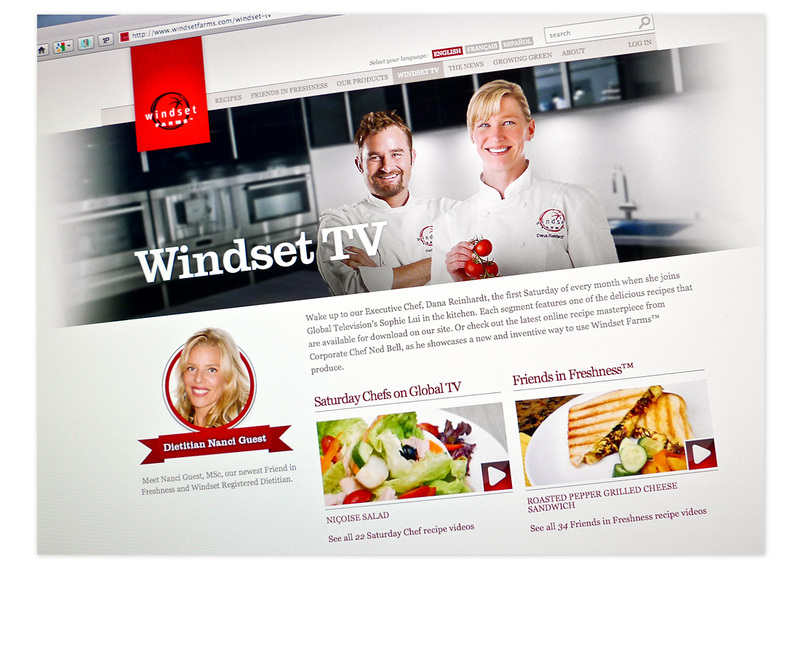 The WindsetTV section of their website houses video content including recipes, commercials, and special event coverage. 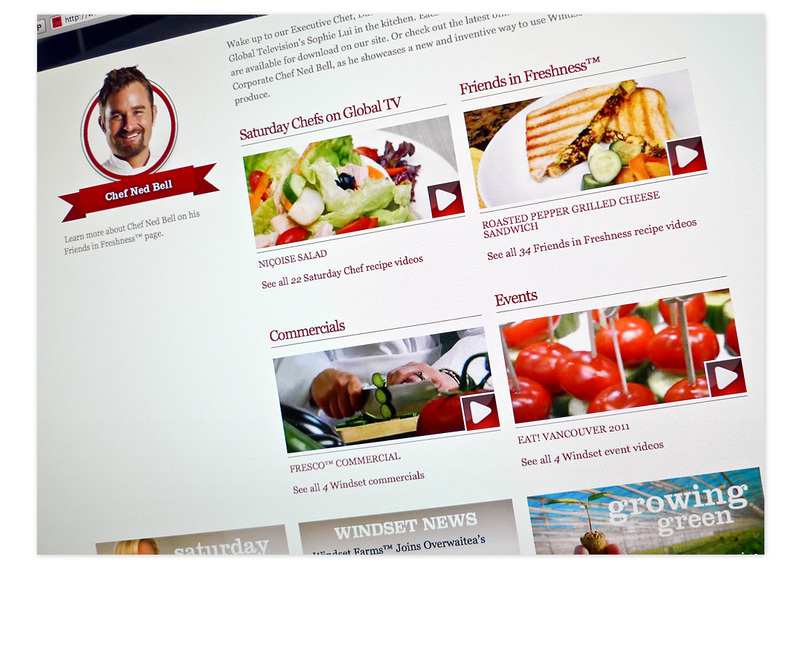 Refreshing the design of the WindsetTV page was carefully thought out to incorporate new design elements while keeping the look and feel cohesive with the rest of the site. The website is a behemoth, so changes to the structure and templates/grids could have large usability consequences. 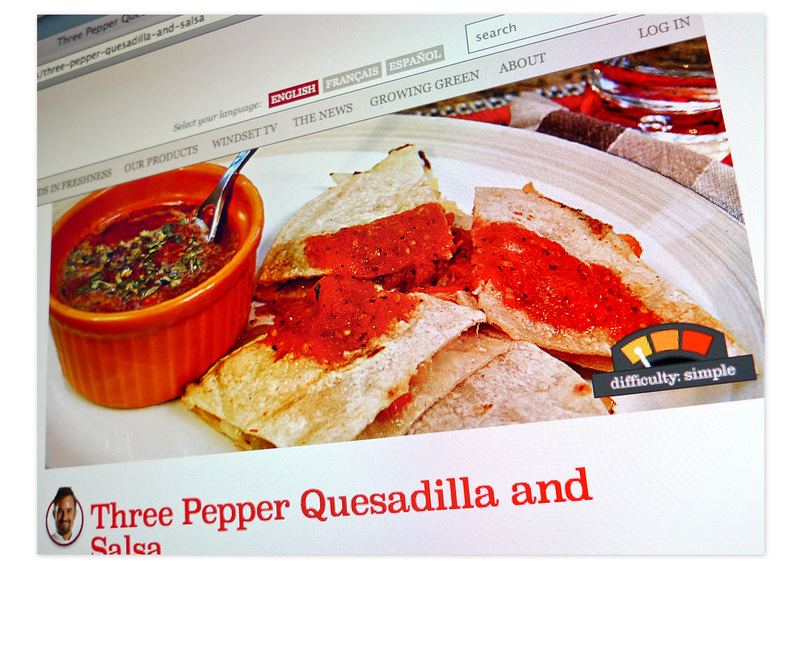 A lengthy research and planning phase including a full review of how users navigate the site took place before beginning the new design. 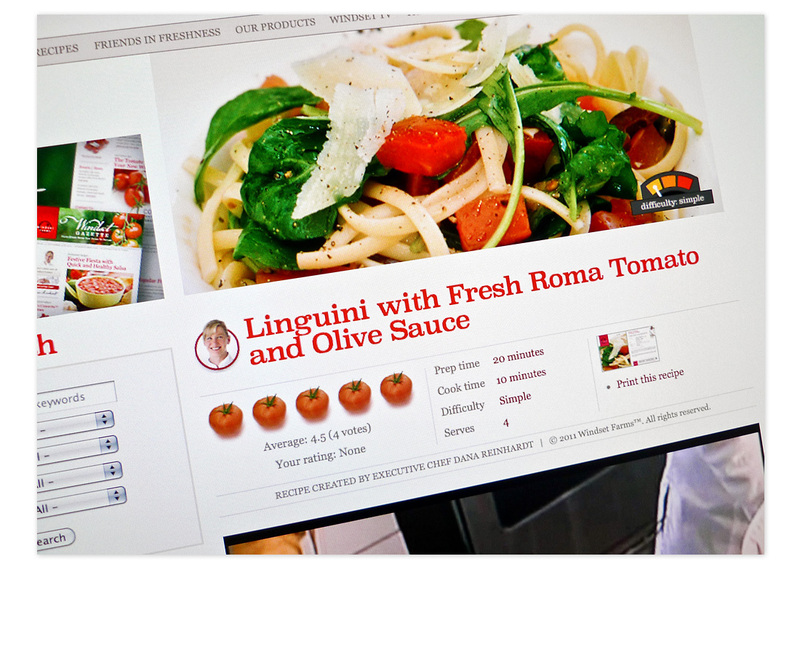 Detail photo of a recipe page, complete with a recipe rating system * 5 tomatoes * and a downloadable recipe card PDF. 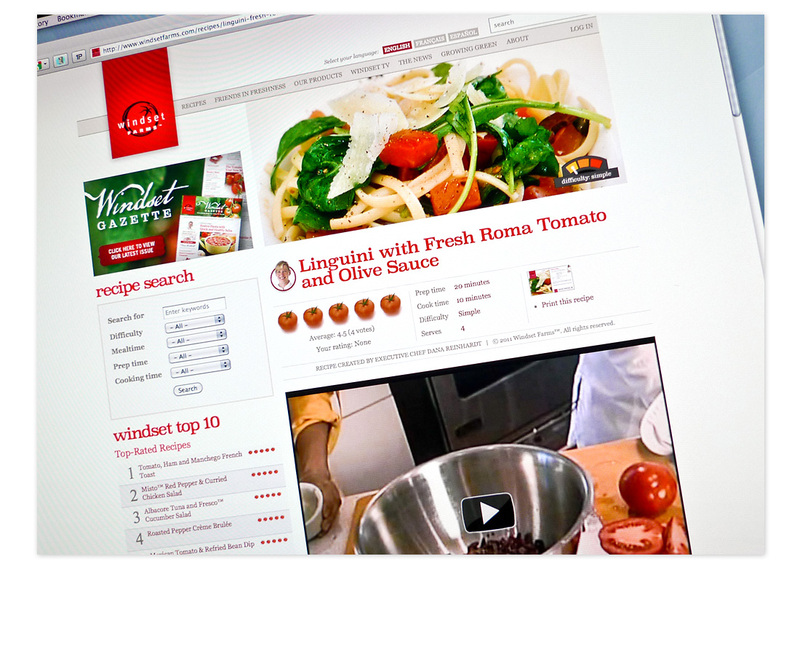 The video follows just below the recipe image, as well as links to all the Windset Farms produce used in the recipe. 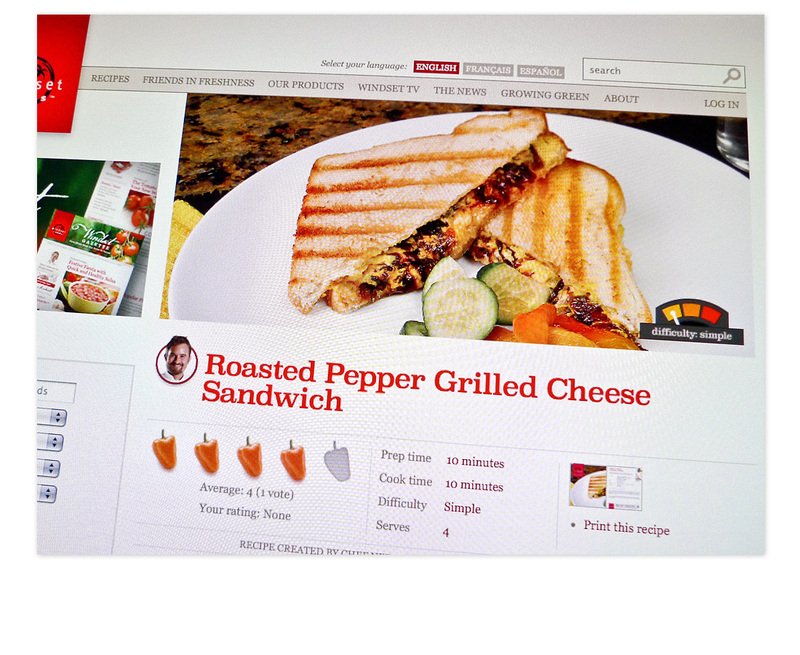 The goal of the redesign was to create a clear hierarchy of content, and keep it organized and clean while incorporating user recipe ratings, prep time, cook time, recipe plans, printable recipe cards, difficulty and number of servings. 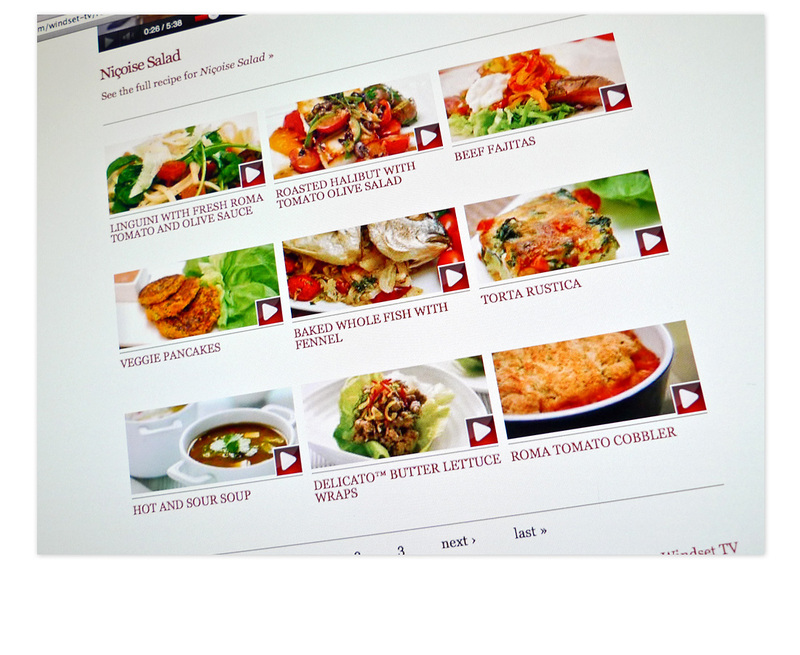 Logged in users can favourite, bookmark, rate and comment on each recipe. 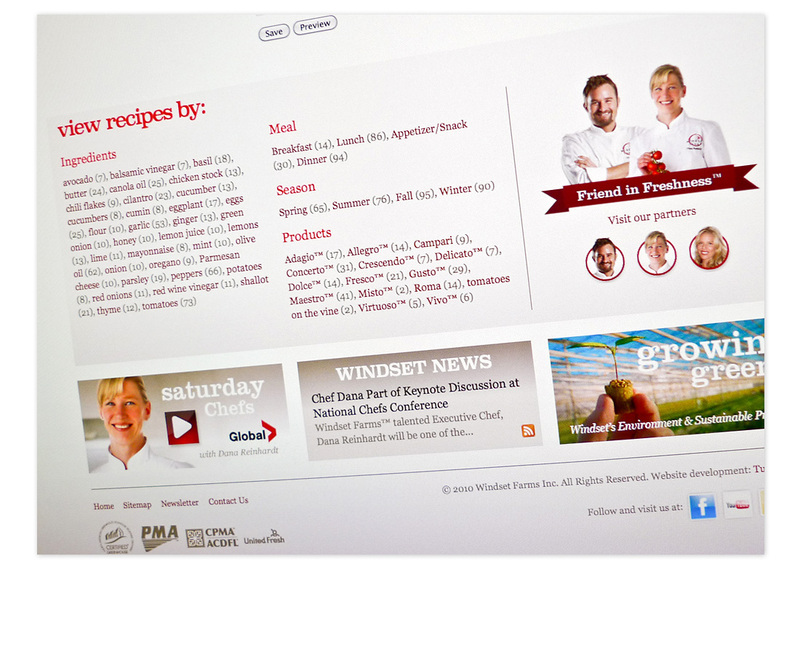 You can visit the Windset Farms website here,.